Softball Game today at St. Joe. Good luck Fillies! 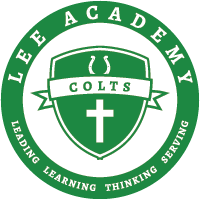 Please invite your friends and family to "like" our Lee Academy Face Book Page and visit our new webpage! Mark Your Calendars! Flu Shots will be given at Lee on October 11th starting at 1:00. School Day Pictures are September 28th for Seniors, September 29th for grades 6-11. JV Football Game Thursday night against Kirk at home. Pee Wee game at 4:30-6:00. Junior High B Game starts at 6:30. 2nd Half- Kimberly Whitworth, Rivers Humber, Heather Watts, Kristi Byrd, Sheree Noland.